The 1967 animated film, The Jungle Book might be one of the most beloved tales ever to be drawn on the screen, with its songs being stuck in our collective minds. While it was never a true adaptation of the Rudyard Kipling novel, very few audiences know much of the original tale. 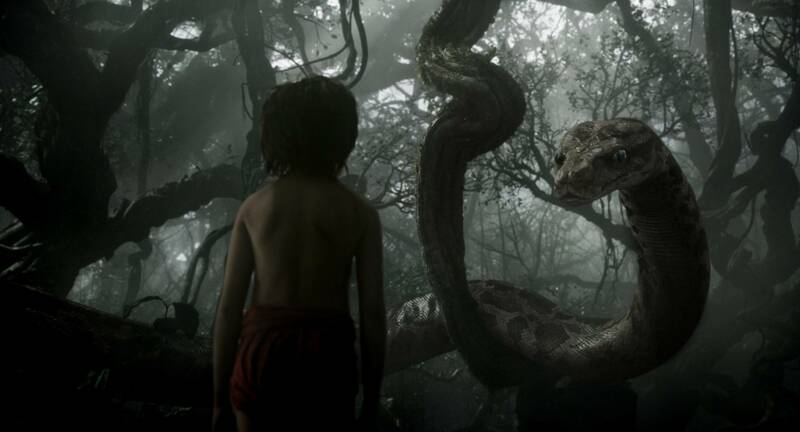 What you call the new Live-Action version of The Jungle Book is an adaptation of the animated adaptation of the book. A marriage of the animated classic with the book, promising to be an all new classic for today’s audiences. 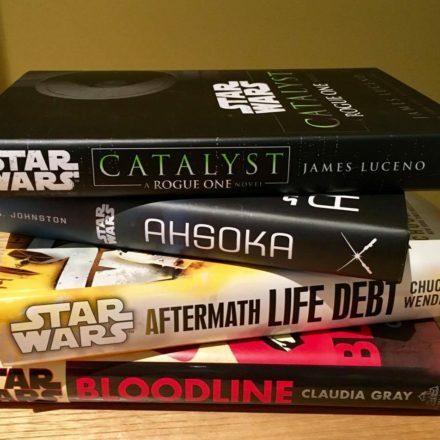 There might be some minor spoilers in here, but nothing that you don’t know from the animated film. 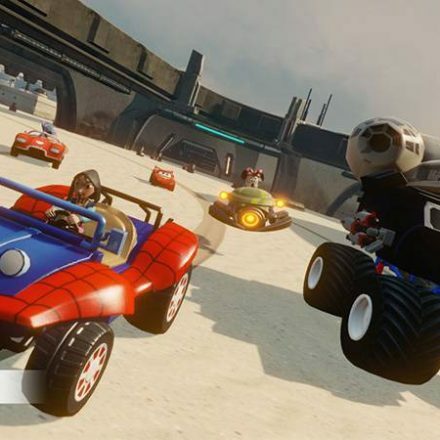 With any big project like this, one is always weary if its going to hold up to childhood nostalgia. One can’t help but compare it to it neither, but as soon as we see the opening logo, which itself was a nice surprise, with brand new castle animation and even showing us a bit of Fantasyland behind it, and hear that familiar music, we really are in that Indian jungle and ready to partake in this adventure. As the film passes by, we meet several beloved characters. Some are exactly as we remember them, others have changed or evolved a bit. But not every character gets the equal amount of screen time. But the story of the new film, it’s more dark and more thematically Kipling than we remember. For those clamouring that those characters come from a book in the first place: back when producing the original, Walt Disney himself found the original story too dark, and it even led to storyman Bill Peet leaving the Company in 1964. Bringing in the Sherman Brothers and a new team, it really brightened up the film, with the music being so vey important. In fact, Richard Sherman was brought back for the new film! Let’s talk about the elephant in the room. The movie is nearly completely CGI. 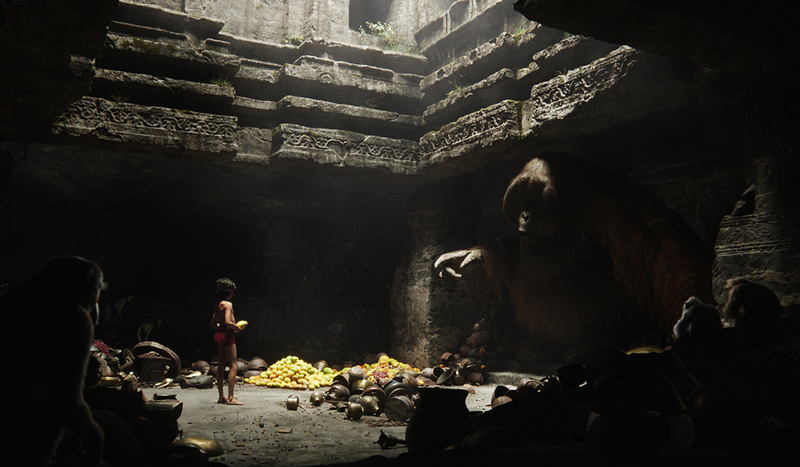 The young Neel Sethi has the starring role as Mowgli, and is the only ‘real’ thing in this film. 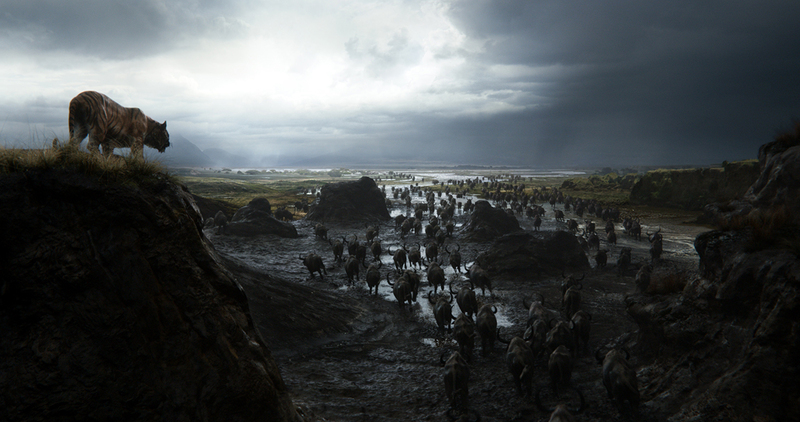 Every single frame in the film was created by the talented New Zealand artists at WETA, with a lot of green screen footage of Sethi added in. Who needs a jungle anyway? Compared to the amazing animation in The Good Dinosaur, which felt completely real, the jungle in The Jungle Book feels a bit off in the beginning. But you’re quickly part of the story and are being swept along, with some minor plot being added to tell a complete story. The casting itself was spot-on, with every actor or actress giving great voice performances, even if they changed Kaa’s gender. (I’m just a big fan of the original). The animation is on-par, with what I assume to be anther case of great Disney research. Another weird thing in my opinion is that there are different animal languages there, with 90% speaking English, and 10% just growling .. . Where is the line, who talks, who doesn’t? Also, thanks to Zootopia, a wolf’s howl will never be the same again. Though the dark 3D projection made it hard to see certain things, especially the things happening at night. I wonder when cinemas will learn that 3D has to be projected twice as bright. The most jarring thing might be the end. In the animated film, they added the scene with Mowgli being tempted by love back into the village, as else the film just sorta hangs there. Unfortunately, this is a problem they still have in the new film. Thematically I feel that something is wrong. 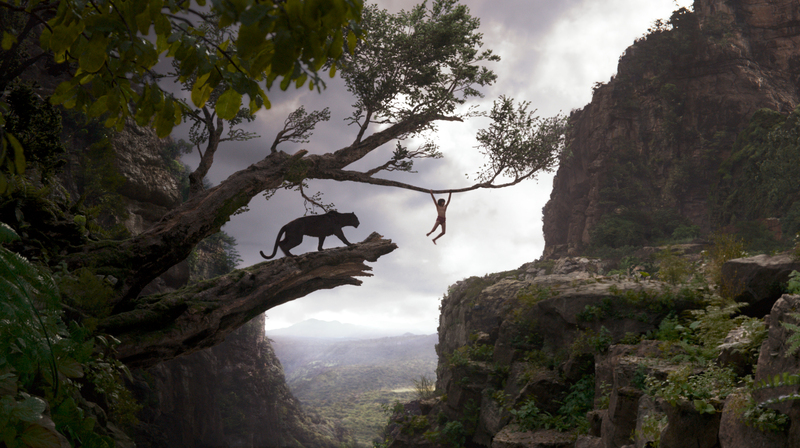 In the original animation, Mowgli always has been ‘pure’, yet choses to leave for the village, while this cinematic Mowgli, he is very much more Man, in the worst possible way. Though he redeems himself, I feel this version did not earn his way into the Jungle, yet is given a place. Be sure to stick around during the end credits for some awesome animation and music. 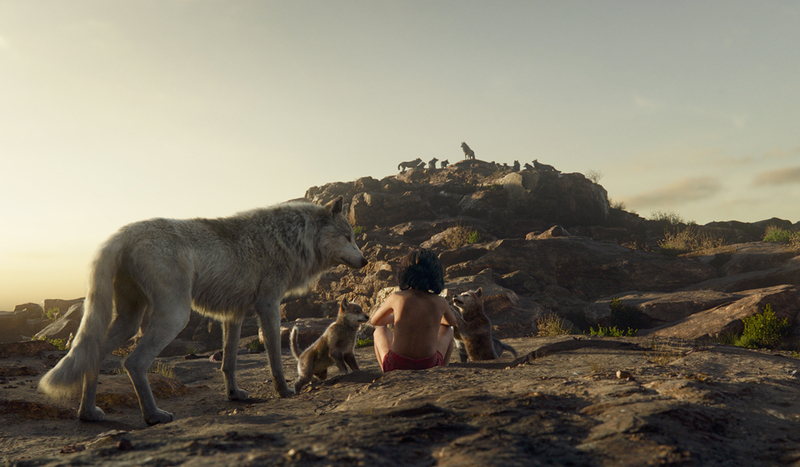 All by all, The Jungle Book is a loving tribute to an even more loved classic animation, though it isn’t perfect. You won’t believe those are real animals, no matter how good they look like, and it shares some plot pains with the original, but all by all, it’s a solid movie that you will enjoy this spring.